Each year, Voyageur Outward Bound School welcomes the Merit Scholars of the University of Notre Dame to Minnesota. These bold and curious first year students begin their Ethical Leadership inquiry and their undergraduate career in the wilderness. 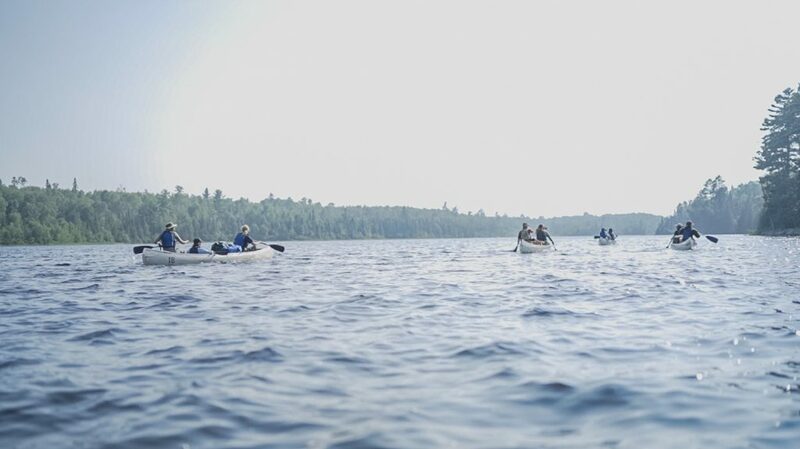 Notre Dame students paddle out into the Boundary Waters as strangers, but they return as friends, with a network of support, a bedrock of confidence and tools for resilience. We conducted interviews with the Scholars upon their return to Homeplace. Soon, they will fly to Indiana to begin their first semester of college. The students are fresh from their Leadership Expedition and eager to reflect on how they have changed and what they have learned– about themselves, and each other. Please enjoy this short film, Expedition for Impact. We feel it captures some fresh-off-the-trail energy and sparkling insights. Join us in celebrating life as a bold learning adventure. I regard it as the foremost task of education to ensure the survival of these qualities: an enterprising curiosity, an undefeatable spirit, tenacity in pursuit, readiness for sensible self-denial, and, above all, compassion.